Unfortunately, I can think of few favorable remarks to make. According to Maya Angelou, President Obama has done a remarkable job. In some respects, I suppose he has. As promised, for example, he has cause the seas to cease their demonic rise, caused by anthropogenic global warming climate change, by stomping upon them. Of course, he didn’t actually do that; it just happened because he is way cool. However, those may not be among his most sterling accomplishments as perceived by Ms. Angelou. 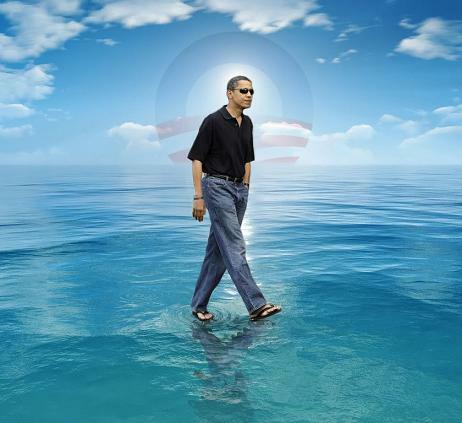 Obama has critics and doubters. 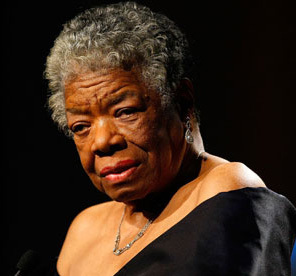 Angelou, the sage of black America, now 83, has no time for them. “I think he has done a remarkable job, knowing how much he has been opposed,” she says. “Every suggestion he makes, the Republicans en masse fight against him or don’t vote at all.” It’s about him being a Democrat and being the first black president, she says. President Obama had a compliant Democrat Congress for his first two years in office, until January of 2011, when a Republican House of Representatives convened. He managed to get ObamaCare and a massive stimulus package enacted during his first two years in office with a Democrat controlled Congress; that sort of thing may well have led to Republican congressional victories in 2010; foolish voters! Regardless of the burdens of having to deal since January of 2011 with a Congress his party dominates only partially, President Obama has led the nation into an unprecedented state of dependency on government, has ignored the Constitution when it has imposed obstacles to implementing his agendas, has continued to weaken the nation internationally and has racked up an historic national debt along with massive and still increasing federal spending. All of these accomplishments have certainly been remarkable for an American President. Now, he demands an additional four years to do even more remarkable things and would most likely prefer to do them with a Democrat controlled Congress. He has accomplished remarkable things mainly to promote his conception of “fairness” (poor vs. “rich,” Black vs. White, other politically favored classes vs. other politically unfavored classes) while stimulating the creation of the most racially divided America in a very long time. A racist, Representative West has characterized government “handouts” as slavery. Heh. What does he know about slavery or, for that matter about Blacks, that President Obama doesn’t know, smarter and better? Representative West had best do a quick reset and get with the program. As all left right thinking people know, Democrats have been four-square in favor of, and Republicans have fought viciously against, civil rights for hundreds of years and continue their oppressions. Some even want to prevent dead people and non-citizens from voting — in the land of the free and the home of the brave! Have they no shame? President Obama’s current budget proposal highlights what he apparently sees as the needs of various of his perceived racial, ethnic and gender constituencies — his people. Might stuff of that sort help to explain why Candidate Obama became President Obama with ninety-six percent of the Black vote and only fifty-four percent of the White vote. Divisive? President Obama? His appointees? His avid supporters? Not a chance! Although President Obama may see his ascendency in the stars, I consider his conceptions of fairness both strange and alien to the values I hold and to those which, I think hope, most Americans still hold. Still, he wants another term so that he can do, his way, things that he couldn’t quite manage (doubtless due to Republican obstructionism and pandering) during his entire first term. President Barack Obama sought on Thursday to stoke enthusiasm in California about his 2012 re-election drive, saying he wanted another chance to overhaul immigration and tackle climate change with a second term. At a series of fundraisers in San Francisco, the Democrat acknowledged he has had a tough first three years in office and asked supporters to summon the energy to mobilize for him again to complete unfinished business on his agenda. Tough three years? With a compliant, Democrat controlled Congress for the first two of them? What was wrong with those Democrats, anyway? “We’re going to have to be as focused as we were in 2008,” he said, joking that it was “not as trendy” to support him now as when he first emerged as a presidential candidate, but also noting the economic downturn has dampened spirits. ”We’ve gone through three tough years and so people want to hope, but they’ve been worn down by a lot of hardship,” he told 70 people who paid $35,800 each to attend a dinner that included a live performance from soul singer Al Green. Only $35,800 each for a great dinner and even to see President Obama? 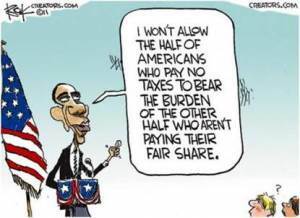 Damn those rich folks whom he frequently chastises! They should have paid at least double that. For shame! Poor President Obama raised a piddling four million dollars. He said his second-term to-do list included making sure health care and Wall Street reforms were fully implemented, continuing to bolster education and scientific research, and advancing U.S. oil, gas and clean energy production. He also pitched items of interest but left unattended in his first term, including addressing the large numbers of undocumented workers in the United States and facing down global warming. Advance “U.S. oil, gas and clean energy production?” He has retarded the first two with abandon and with every regulatory obstacle that could be thrown in their way and has failed even on the third — remember Solyndra and its ilk? Surely, clean energy is the Keystone to success, at least for our good friend and creditor, China. Is it even possible that crony capitalism might not be the best way to stimulate the economy — or anything beyond political advantage? You can’t afford (or don’t want) a car powered by electricity? Need some gasoline for the car you do have? When President Obama took office it cost about $2.00 per gallon; it now costs about $3.58, is climbing and is likely to continue climbing. Notwithstanding all of his “remarkable” accomplishments, there appears to be an increasing likelihood that President Obama will get another term in office — not because he has done well or even OK for the nation, not because the principal media gush over him, and not even because the public perceptions they seek to generate and then to stimulate are based on hate rather than on love, on equality of result rather than on equality of opportunity and on forlorn hope rather than on reality. Rather, he may well receive another term in office because of internecine fighting among Republicans. Go to the comments at the last link to find evidence of just that. Such a result would be perverse and I am not confident that the nation would survive it. I would greatly prefer any of them to another term of President Obama. Then, at least, we could have a perhaps slim but far more realistic hope for change we can believe in. 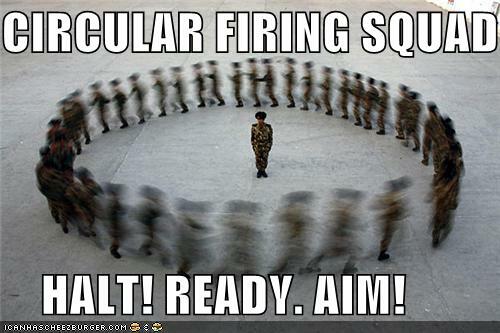 Be careful that you don’t attract the likes of Media Matters or some other like minded hit squad. My feelings and opinions are pretty much in line with yours. I feel a lot of sympathy for President Obama. Most of us were willing to give him a chance once he was elected, but then we let him down by not understanding that everything he was doing was for us. Poor guy….